Please ensure you have the full version of kontakt to run this library. Do not buy if you intend to use the free kontakt player version. 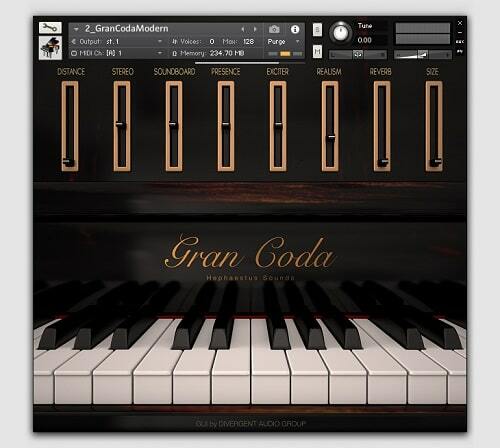 Gran Coda features realistically rendered pianos interfaces to inspire you during your performance. Works on Kontakt 5.2.1 or newer (15 minutes on Kontakt Player).